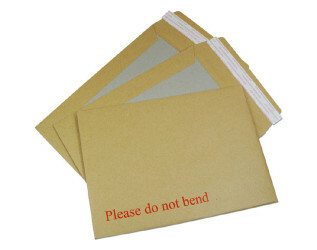 These strong board back envelopes are one of our best sellers. These envelopes feature a heavy duty kraft paper front and stiff solid board reverse, with a peel and seal closure to provide security and product protection. Board Back Envelopes are ideal for sending important papers, catalogues, or other products that need to be kept flat.